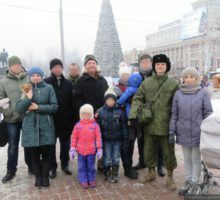 Happy New Year-2017 to everyone from Essence of Time mission to Donbass! Today is the day when we need to look back and examine the path we traveled this year. It was another year of victories and losses, of fighting and grievous losses. Let us remember every person, who is not with us at the holiday table today, who laid down their lives for their friends. Let us prepare for the new upcoming challenges. The year 2017 might become the turning point, both for Donbass, and for Russia and the whole world. The results of the year depend on each and every one of us! Despite of rumors regarding the probable renewal of intense combat by the Ukrainian side on New Year night, the situation on the front is relatively calm. 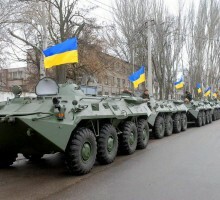 Nevertheless, Armed Forces of Ukraine continue to deploy military hardware and personnel at the frontline – DPR recon registered the arrival of a Ukrainian tank battalion to Krasnoarmeysk. Archive photo. 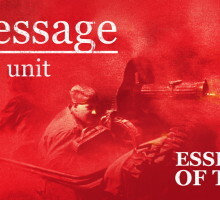 Essence of Time unit in Donbass members. New Year on “Tryoshka” position. December 2014. 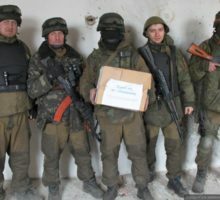 Essence of Time mission in Donbass members recently brought medicine and medical products to Donetsk City Hospital № 15, where many injured servicemen of DPR People’s Militia undergo treatment. The medicine was bought for the funds donated by Texas’ friends and our subscribers. 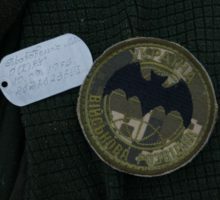 Drunk Ukrainian National Guard militants ran over a civilian car “VAZ-2101” by an infantry fighting vehicle (IFV) in Makarovo village area, after which left the heavily injured driver of the car to die, LPR People’s Militia Spokesman major Andrey Marochko informed during his daily briefing at LuganskInformCenter. Apart from several local shellings from the Ukrainian side, the situation on the frontline is relatively calm. According to local residents, trench warfare is underway in the north-western outskirts of Gorlovka. Exactly 94 years ago, on December 30, 1922, the Treaty on the Creation of the Union of Soviet Socialist Republics was ratified! USSR was the greatest state, which opened to the world the never before seen heights of human ascension. It was the country of social victories and scientific discoveries, the country that gave hope for another way of life. The Soviet people that put the red banner over Reichstag saved the planet from the darkness of fascist enslavement. Despite the declared ceasefire, the Ukrainian side continues to shell Donetsk People’s Republic territory and intensifies the shelling each day. 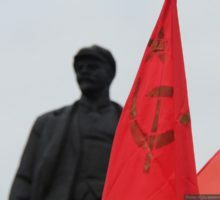 A source in DPR People’s Militia informed on the new failed sabotage by the Armed Forces of Ukraine. Yesterday a Ukrainian sabotage-recon group consisting of up to 10 men, with the support of artillery, attempted to approach DPR People’s Militia positions in the area of Krutaya Balka village. Yesterday Texas and other Essence of Time mission in Donbass members visited Sofia from Yasinovataya, the girl suffering from cerebral palsy. Sofia was very glad to see us. This time we brought yet another box of medicine, which will last Sofia three months. 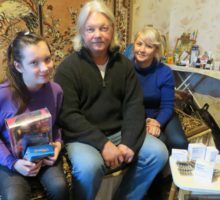 This aid arrived thanks to Pedro from the UK and our subscribers who donate funds to the card of Essence of Time unit in Donbass. Apart from expensive medicine, the family is now saving money to buy special orthopedic footwear without which the girl will not be able to walk.